The Palestinian village Zaatara at the foot of Herodion. Credit: Pierre Klochendler/IPS. JERUSALEM, Mar 16 2013 (IPS) - If Herod the Great was a controversial figure of his time, 2,000 years on the controversy isn’t about his legacy; it’s about who holds the rights to excavate and preserve his artefacts. A new exhibition at the Israel Museum which, for the first time, displays the king’s relics, might serve as a great tribute to him, but is also a powerful reminder of how the history of the Holy Land and today’s conflict between Israel and the Palestinians have become intertwined. On top of a hill “raised to a greater height by the hand of man; rounded off in the shape of a breast,” as Flavius Josephus, Jewish historian of Rome described it, the old monarch had a fortress-palace erected as memorial for himself; and named it after himself – Herodion for Herod. Herodion, from where the bulk of the exhibition originates, is visible from Jerusalem and dominates the Judaean desert, since 1967 part of the Israeli-occupied West Bank which the Palestinians seek as part of their future state. Herodion is in Area C, namely 62 percent of the West Bank maintained under full Israeli control since the 1993 Oslo interim peace accords. An Israeli military base protects the site. The Holy Land changed hands time and again since Herod’s time, but at 758 metres high, the lay of the land looks unchanged – at first glance. Dotting the surroundings, Israeli settlements and Palestinian villages vie for rights to the land. Appointed by the Romans, Herod ruled the vassal kingdom of Judaea, part of the Palaestina province of the Roman Empire, for 33 years between 37 and 4 BCE. Exquisite tableware from glass and fine and glossy red roman pottery; a statue of Cleopatra, the last pharaoh of Ancient Egypt; a decorated basin, a gift from his patron Emperor Augustus, whose bust is on display; his royal highness’s bath – all were found in situ. Adorned with stucco and rare frescoes of sacred landscapes and navy battles painted with pigments on plaster, also imported from Herodion is the royal chamber. The jewel of Herod’s crown, so to speak, is the reconstruction of his mausoleum which sheltered what archaeologists believe is the sarcophagus in which his body was placed. The man surely possessed a taste for the arts – even on his deathbed. “He was very aware of historic memory,” comments the curator. Here nowadays, historic memory refers mostly to competitive national quests. Excavations at Herodion began in 1972 under Israeli archaeologist Ehud Netzer. “No one asked us or consulted us, then or now,” protests Jamal Amro, a Palestinian scholar from Bir Zeit University familiar with the site. After prolonged exploration, Netzer uncovered Herod’s tomb in 2007. Two years later, he died in tragic circumstances at the site. It took three more years to move some 30 tonnes of carved masonry from Herodion to the museum. “We actually moved thousands of fragments to our laboratories, working intensively from here on restoration and reconstruction,” says Mevorah. “We’ve performed quite an important role for world cultural heritage,” says Israel Museum director James Snyder. But the self-complimentary effusion has been short-lived. The Israeli government lists Herodion as a national heritage site. Granted full membership of the United Nations Educational, Scientific and Cultural Organisation (UNESCO), the Palestinian Authority now wants to nominate Herodion for recognition as a world heritage site. “The Oslo Accord makes Israel responsible for custodianship over archaeology in the West Bank until a final settlement is reached,” retorts Snyder. A ruthless ruler who had the last lineage of the Hasmonean dynasty that ruled before him executed, including high priests, opponents, his beloved second wife and three of his children, Herod was feared by his subjects. In Christianity, he’s ‘Horrid Herod’, thought of as a serial baby killer. At the museum, he is mostly remembered as a master builder for his colossal projects, including expansion of the Second Temple in Jerusalem revered in Judaism. Centuries later, the Haram al-Sharif or Noble Sanctuary would be edified on its ruins. “We borrowed the artefacts as authorised loans; we’ll retrocede them once the exhibition wraps by year’s end,” assures Snyder. The question is where the relics will be returned to, and to whom. 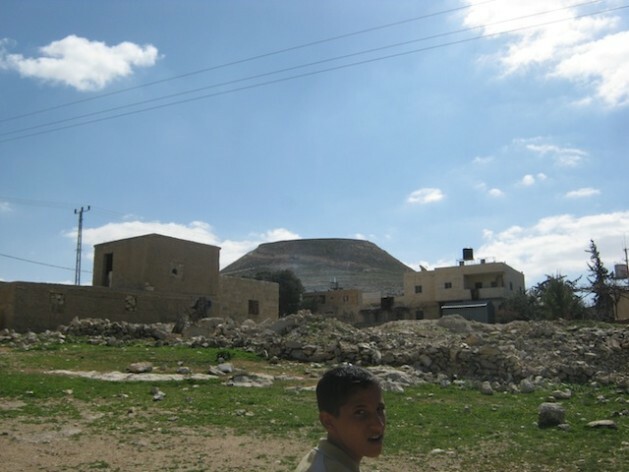 “To the authority in charge of archaeology in the West Bank,” clarifies Mevorah. That is, to the ‘Civil Administration’, a well-known euphemism for Israeli military authorities in the West Bank. “They’ll never give back the artefacts to us, forget it,” protests Amro, not sure himself whether “it” refers to the site and its treasures or to the West Bank. Would such a model be applicable to Israel and Palestine were peace to be signed between them? “I’m just a museum director, but it was well done,” says Snyder.